Oftentimes, we make changes in our careers to increase our income level. However, even if you take a higher paying position, it doesn’t necessarily mean you’ll end up netting more money. Here’s how to make sure you capitalize on your opportunities, and that the choices you make are extremely kind to your household budget. 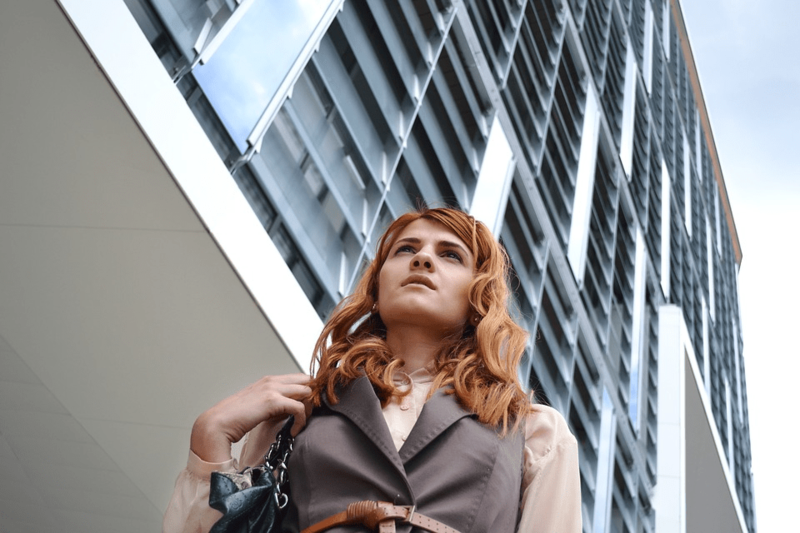 You’ve probably heard the expression that you should “dress for the job you want,” and that’s advice to take to heart when job hunting. Inc. points out that we communicate with others through our clothing and appearance. Beyond a good fit, polished details like pressed seams and quality fabric can make an entirely different impression on a prospective employer than a crumpled skirt and scuffed heels. With that in mind, consider investing in a handful of new pieces to upgrade your wardrobe. By choosing steadfast, interchangeable, high-quality basics, you can get more mileage out of your clothing than if you buy particular outfits. On top of that, purchasing from retailers like New York & Company means you can catch sales, and stretch your money and budget even more by using coupons. ses, but oftentimes that burden will fall to you. One suggestion is to examine relocation packages during job negotiations. Research carefully so you know exactly what you’re getting into. You can use a moving estimate cost calculator for part of your numbers, and use a website like Realtor.com to explore housing prices. Also, be aware of the cost of living in areas you are considering since it can vary greatly — even within the same state. If it’s worthwhile to pay for the move yourself, you can save on expenses by renting a storage container from a company like PODS, and check their current promotions to get the best bang for your buck. It’s no secret that health insurance is a major expense for many families. As the Penny Hoarder explains, you can make inquiries with prospective employers about health insurance options before accepting a job offer. If you are considering a job change that doesn’t involve moving, examine whether your family physicians are within the network, and check into policy premiums, expense coverage, and copay information. Find out about deductibles, and if there is a high deductible, ask about an HSA option. If the plan has a high deductible but no HSA, you can set up your own. Once established, an HSA helps with medical expenses and stays with you no matter where you work. Another idea is to explore alternatives for prescription medications. For instance, you can save money on your drugs through websites like GoodRx, who offers a discount card for members and printable coupons for prescriptions. a budget-conscious home office with a professional atmosphere by taking advantage of their sales. Changing your career can be tricky budget-wise, but with some planning and research, you can make a smart move. Consider locations, benefit packages, and hidden expenses thoroughly beforehand. Careful preparation can be your key to a successful transition and to avoiding a more challenging financial situation. Special thanks to the article contributor. Thanks Gloria!! Gloria Martinez runs WomenLed, a group that celebrates women’s achievements in the workplace and is dedicated to increasing the number of women-led corporations, organizations, and small businesses. It is her aim to help increase the number of women-led businesses by educating others about the topic. Thanks and be great today! !